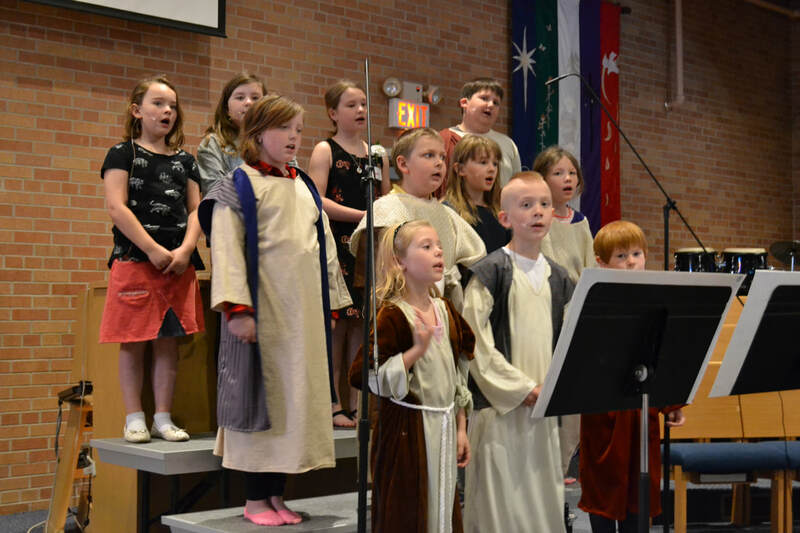 ​Music is an integral part of worship and community life at St. Luke's. We believe that music adds a unique dimension to faith and allows us to hear, learn, and experience God's Word. All are invited to participate in music at St. Luke's! Please contact Stephanie Luedtke, 952.881.5801 x104 for more information or to join a group! All are encouraged to participate in music groups at St. Luke's. ​Click above to find your fit! ﻿There are opportunities for all musicians to share their musical gifts in worship. We invite St. Luke's members and the community to join us for these special musical offerings. Altar Guild prepares the church for worship. This includes putting up seasonal paraments, cleaning the altar area, setting up communion, and scheduling servers. The Altar Guild also orders flowers for Sunday services and decorates for the seasons of the Church year, including Reformation, Christmas, and Easter, as pictured. ​Lector Ministry helps us hear the Scriptures from a variety of voices. The members of the Lector Ministry show us that you do not have to be a Biblical scholar to read or study the Bible. In fact, in preparing their readings, they show us one method that can be used to extract greater meaning from a Biblical passage, which is to read it, re-read it, and then read it several times more. The lectors teach us not to be deterred by the long, complex sentences that St. Paul seems to favor or the unusual names of people and places that are found throughout the Old and New Testaments. By reading the Scriptures in worship, the lectors show us that the Bible is accessible to all of us and meant for all of us - just like the grace of God. ​Ushers wear many hats at St. Luke’s. They serve as greeters and guides while also covering security and first aid needs as they arise. A training is held in January to review duties and receive new information about updated procedures on securing the building. They are always learning and caring for members and friends of St. Luke’s. Music Camp is a week-long production for K – 8th grade. There are rotations of Drama, Props, Singing, Percussion, and more. Final day includes a field trip and a presentation of the musical for parents and friends. The 2017 musical was “In the Image” by Mark Burrows after a trip to Guthrie Theater. Children embrace their unique skills and abilities to serve God and others.